In 2014 Andrew Brooks created the film Immersion Manchester. The film is a tour through the streets and over the rooftops of Manchester and captures the energy and pace of the city. The film was shot, directed and edited by Andrew Brooks and features an original score by composer Jack White. 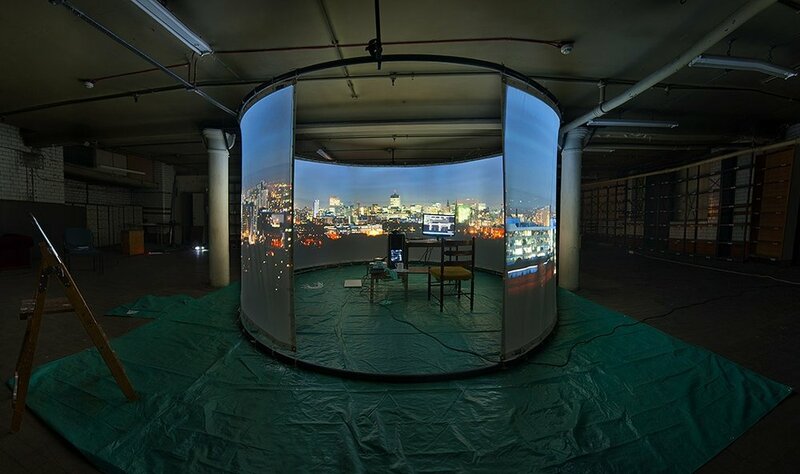 Immersion Manchester was created to be shown on the almost 360° screen that you can see above. Many of the cityscapes from the film are in the Cityscape Gallery and available in the Shop. The Immersion project and films were made with the support of CuratedPlace and Arts Council England.